Africa Environment Day (AED), the biggest Environment event on the continent will as is customary be celebrated on Monday March 3 year under the theme: Combating Desertification in Africa: Enhancing Agriculture and Food Security. UNEP seeks to raise public awareness on environmental challenges in Africa such as climate change, desertification, deforestation, land degradation, endangered biodiversity etc. 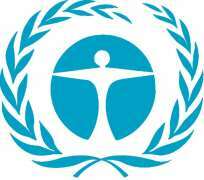 which are mainly responsible for problems related to food security, health and development. The theme is in line with the African Union Year of Agriculture and Food security. Africa Environment Day will be celebrated in conjunction with Wangari Maathai Day, a day dedicated to the celebration of the work and vision of Africa's first female Nobel laureate, champion of grassroots environmental activism, and fervent defender of biodiversity, late Prof Wangari Maathai. The theme for this year's celebration, Youth - Healing the Earth: Education Environment Empowerment, is a forward-thinking theme that captures the promise of Prof Wangari Maathai's vision of preserving the environment for today and generations unborn towards sustainable development in Kenya and the continent of Africa. Planned activities for this day include tree planting, exhibitions and a youth dialogue forum coordinated by representatives from the Green Belt Movement and Tunza youth programs.